There are all kinds of things going on here . . . 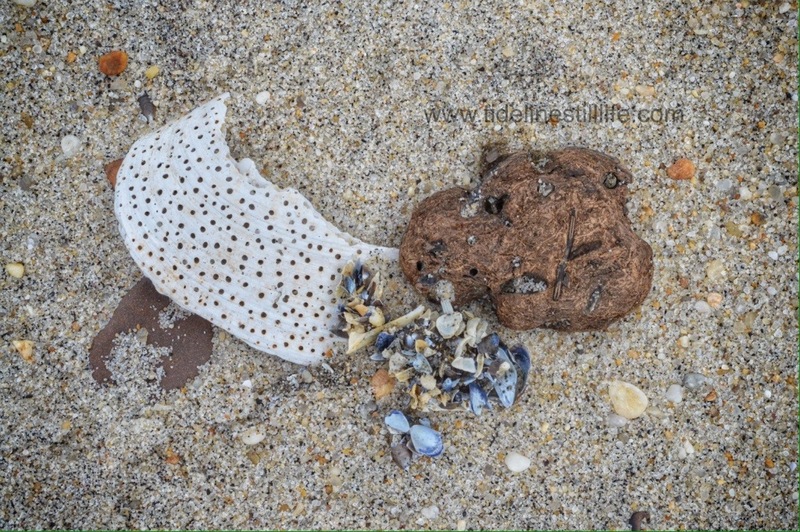 Bits of shells, pebble, evidence of ocean parasite activity, and an item that I could not identify. It is a fitting photo to start my Saturday morning because there are all kinds of things going on at home this weekend. I hope they all come together as well as this still life.